Discount available! 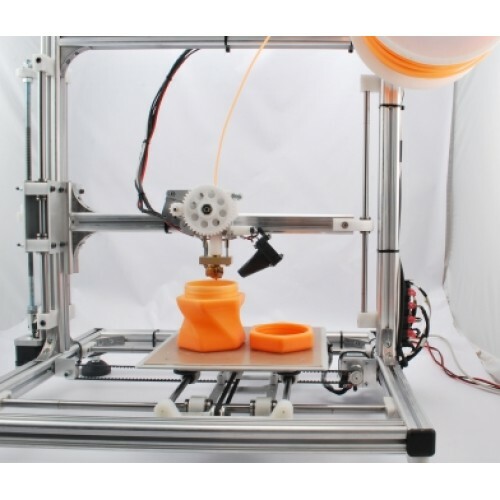 Recommend 3Drag - 3D printer - KIT to your friends and get your Discount. 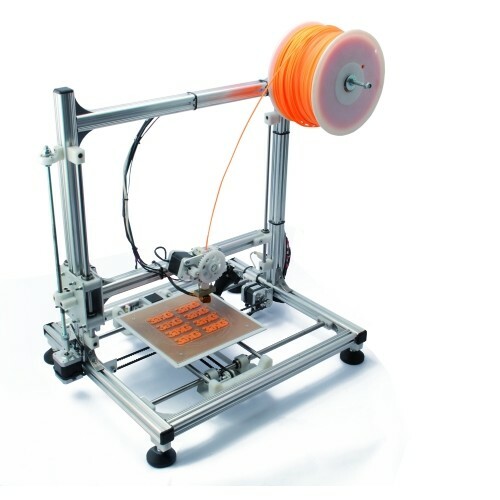 3D printer to print objects of maximum size of 20 x 20 x 20 cm using ABS or PLA 3mm wires. Extremely fast and precise even in prints at higher speeds. 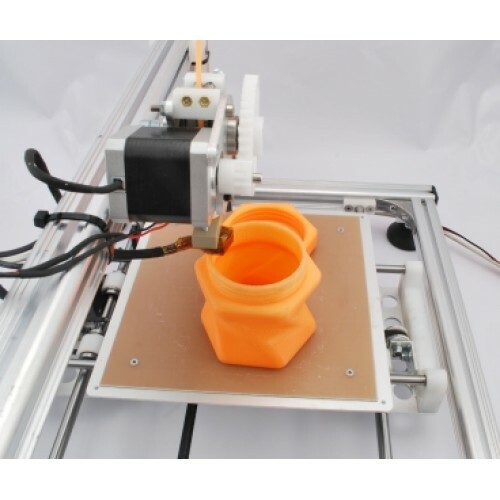 Compatible with all free software and firmware RepRap, lets you create items in plastic of any kind. Made of aluminum profiles, easy to mount. Designed and engineered to give lightness and stiffness for the suppression of vibrations and unwanted resonance. The printer uses the X / Y for printing plane and Z for the cart. This particular configuration allows to simplify the extrusion system which no longer have to move on a horizontal axis, is simply fixed to the structure that moves along the Z axis The measurements have been studied to make the printer compact and a low center of gravity, aligned with the two belts. The support for the printing plate is designed to accommodate a "tile" of vetronite which combines a good adhesion with the PLA with considerable dimensional stability. Heated plate included. Based on the ATmega2560 microcontroller, allows you to manage four bipolar stepper motors to dri..
Based on the Allegro A4988 chip, this driver is able to control a single bipolar stepper motor wit.. Heating section for 3D printer not assembled. 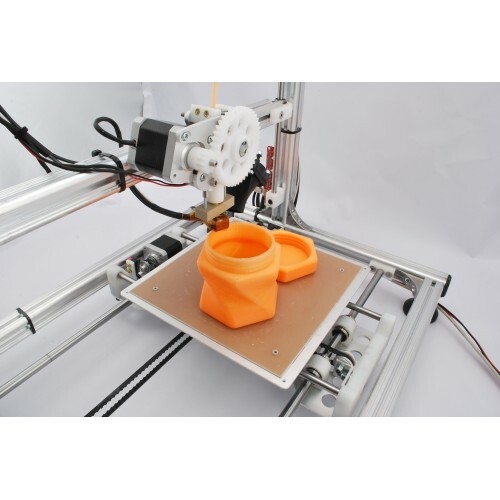 Includes: 1 Pcs extruder brass heaterblock, 1 ..
Includes everything you need to build the body of the extruder 3D printer 3Drag. Includes all scr.. Roll of Kapton tape, 55 mm high and 33 meters long. Used as thermal insulation (from -269 ° C to.. Roll of Kapton tape, 8 mm high and 33 meters long. Used as thermal insulation (from -269 ° C to ..
Strong glue able to withstand higher temperatures. 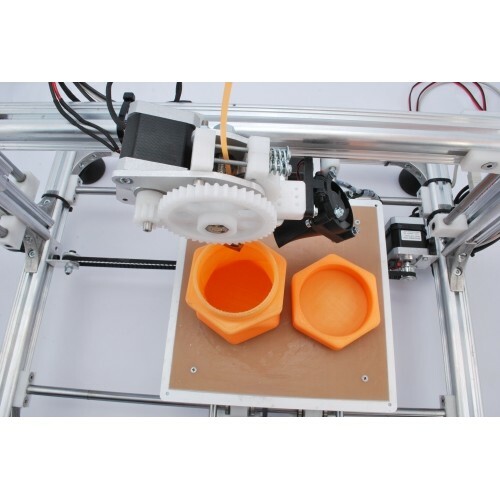 Features: thermal properties, strong..
3D printer 0.5 mm Nozzle for 3Drag/K8200 printer Input: 3mm Output hole diameter: 0.5mm M..
3D printer 0.3 mm Nozzle for 3Drag/K8200 printer Input: 3mm Output hole diameter: 0.3mm M..
Set including the plastic parts used in the 3D printer 3Drag or K8200 .. Perfectly suited for our 3Drag or Velleman K8200 3D printer. 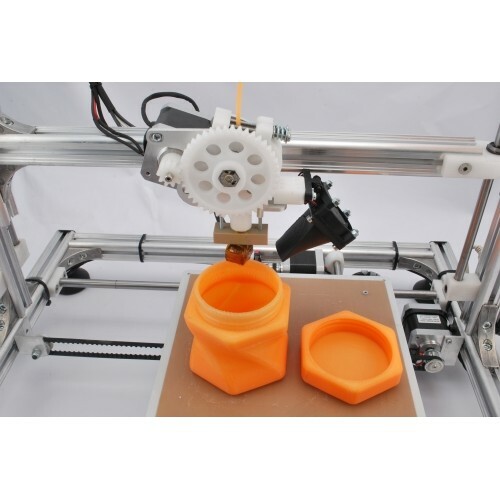 Features 9 wide-angle ultrab..
3D printer 0.8 mm Nozzle for 3Drag/K8200 printer Input: 3mm Output hole diameter: 0.8mm M.. Spare support for nozzle for 3Drag More info .. Roll of Kapton tape, 200 mm high and 30 meters long. Used as thermal insulation (from -269 ° C t..
NTC thermistor 100 kohm indicated for the measurement of temperatures up to 250 ° C. Ideal for d..
Teflon cylinder for 3Drag extruder .. This connection bracket made of aluminium is used to connect aliminium profiles used for the mosta h..
Cover strip black (PVC) to be applied to the interlocking slotted cavity of the aluminium profile. I.. The four coaxial slots will give you the ultimate stability. The alignment grooves in all four coaxi.. Closing cap for aluminum profile. Dimensions (mm): 27.5 x 27.5 x 5.3 Used to make the pr..
Package containing 6 square nuts used in the most hackable 3D printer 3Drag. Dimensions (mm):.. 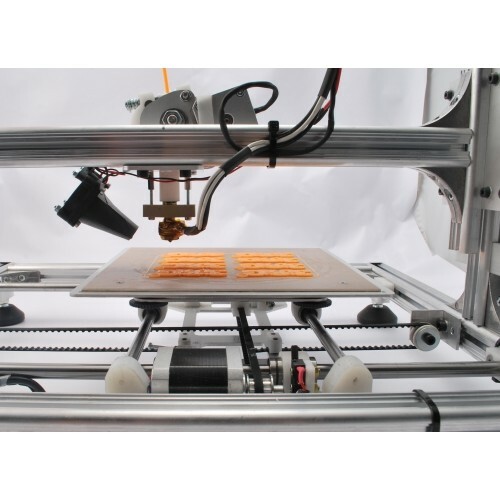 Improves Z-axis accuracy, eliminates printing wobble, strong.. Smooth rod steel 10 mm diameter with length 1 meter. Ideal for making changes to the printer 3Dra.. Smooth rod steel 8 mm diameter with length 1 meter. Ideal for making changes to the printer 3Drag.. 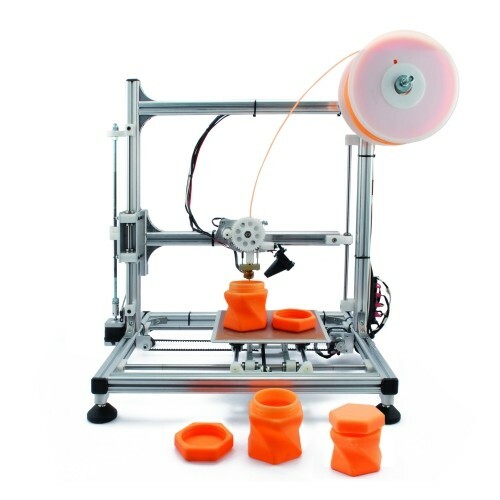 This set allows you to use the filaments 1.75 mm printer 3Drag. 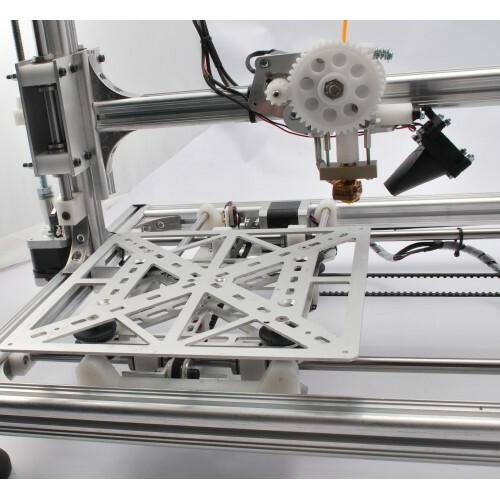 Contains the extrud..
Aluminium 3D printer bed plate for 3Drag or K8200. 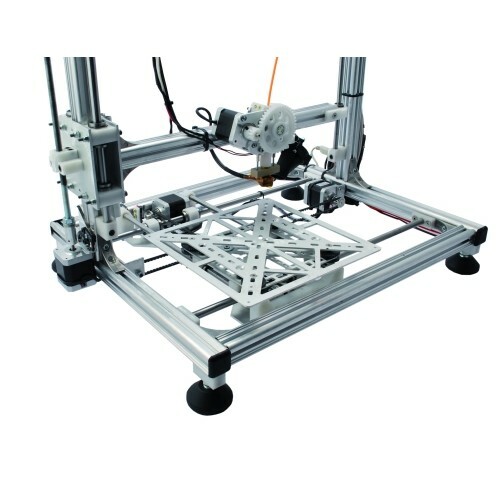 Dimension: 215x215x2mm ..
Aluminium 3D printer bed support for 3Drag or K8200. 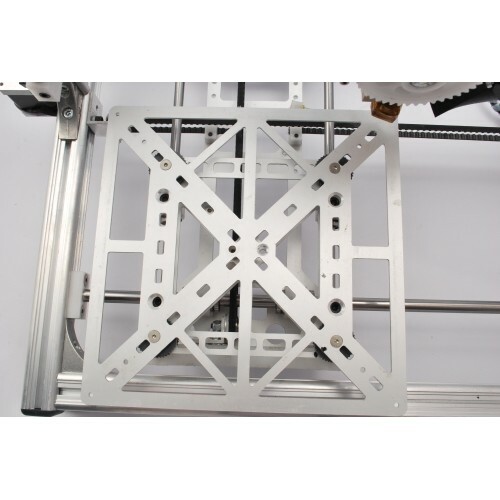 Dimension: 145x145x2mm ..
Aluminium 3D printer plate for X axis for 3Drag or K8200. Dimension: 350x150x3mm ..
Aluminium 3D printer extruder support for 3Drag or K8200. Dimension: 78x62x3mm .. This set allows to turn the printer 3Drag from mono extruder for filaments 3 mm, dual extruder to fi..
Multicolor flat cable length 3 meters, for 3DRAG .. The BuildTak is a thin sheet of adhesive plastic which provides a printing surface and allows optimu..
Micro switch with 50 mm long metal lever. It has a normally open contact and one normall.. It consists of a micro switch and a status LED, this small module is suitable for u..
3Drag - 3D printer - KIT is available under Free Filament For You. Click here to know more. 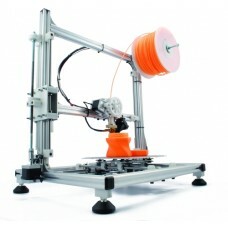 3Drag - 3D printer - KIT is available under 3Drag Choco Promo. Click here to know more.